Charles Thompson Rees Wilson was born of February 14, 1869 in Glencorse a parish near Edinburgh, Scotland. His father was a sheep farmer who died in 1873, when Wilson was 4. His mother moved the family to Manchester, where with the help of an older brother from his father's previous marriage he was educated at a private school and then Owen's College, which is now the University of Manchester. At Owen's college he studied biology, making a study of beetles and hoping to become a medical student. Though he failed a scholarship test for Christ College, Cambridge he was awarded a scholarship at Sidney Sussex College, Cambridge where he became interested in the physical sciences, studying chemistry and physics. In 1894 he was studying cloud formations at Ben Nevis, an observatory on the highest point in Scotland and he observed the coronas, the rings of color that form around the sun when it shines through clouds, and "glories", colored rings surrounding shadows cast upon clouds. Interested in this phenomena, he returned to Sidney Sussex and attempted to reproduce them in the laboratory, by rapidly expanding moist, dust free air. As the air expands the temperature drops and when it reaches the dew point the water vapor in the air condenses. Wilson noticed that water droplets formed in the air and he suspected that this was caused by water condensating on ionic nuclei. This prediction was verified when Wilson's "cloud chamber" was exposed to the newly discovered x-rays. The massive increase in water droplets after x-ray exposure coincided with the observation that air was made conductive by x-rays, which produced ions in the air. This was the birth of the cloud chamber, a device which allows for the photographic recording of the paths of ionizing, nuclear particles. When ionizing nuclear particles fly through the air they colide with air molecules, producing ions. These ions can be observed in the cloud chamber because of the water that condenses on them. The water droplets form paths that can be observed and photographed. Cloud chambers have been used to record a number of nuclear phenomena. Wilson used his cloud chamber and in 1911 was the first person to observe and record the paths of alpha and beta particles and electrons. 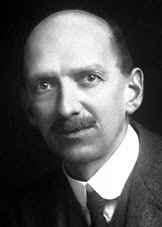 For his invention of the cloud chamber Wilson shared the 1927 Nobel Prize in physics with Aurthur Compton. He was elected to the Royal Society in 1900. Other honors received by Wilson include the Copley Medal in 1935 and the Franklin Medal in 1929. After his retirement he moved to Edinburgh and then moved to the village of Carclops, close to this birthplace. He died, surrounded by his family, on November 15, 1959.